Whatever the size of your bathroom, a glass shower screen will act as a crucial barrier that separates your bath from the rest of your room and prevent water from leaking on to your floor. Contact us for advice and glass shower screen prices. Create style and protect your bathroom floor with one of our beautiful glass shower screens. Why Choose a Shower Screen? With the modern UK bathroom being quite small, many people are no longer able to have a separate shower and bath. Shower curtains just hang off a railing, offering little protection against water spilling onto the floor and as the water settles on them, making them prone to attracting mould. Glass shower screens, on the other hand, offer a practical solution as they will keep the water inside your bath and avoid costly leak damage to your bathroom floor. You can contact us by email or by phone where our helpful and friendly staff are waiting to receive your call and can advise you on the best way to move forward. Glass shower screens provides your home with a plethora of added benefits, including their aesthetic value. Installing a glass shower screen into your bathroom enables you to optimise the space in your bathroom by creating a clear panel. This ensures the light is evenly distributed around the room, increasing the value of your home. Shower curtains normally have a one size fits all approach. However, we know that every bathroom is a different size. Which is why we offer the ability to customise your glass shower screen to fit your bathroom perfectly, without looking out of place. Each glass shower screen can be made to your exact measurements, ensuring a seamless fit and finish. Glass shower screens are an excellent alternative to their shower curtain counterpart. One reason is because of its easy to clean properties. As the shower screen is made from high-quality, highly durable glass, there are several easy cleaning options to ensure it looks brand new. 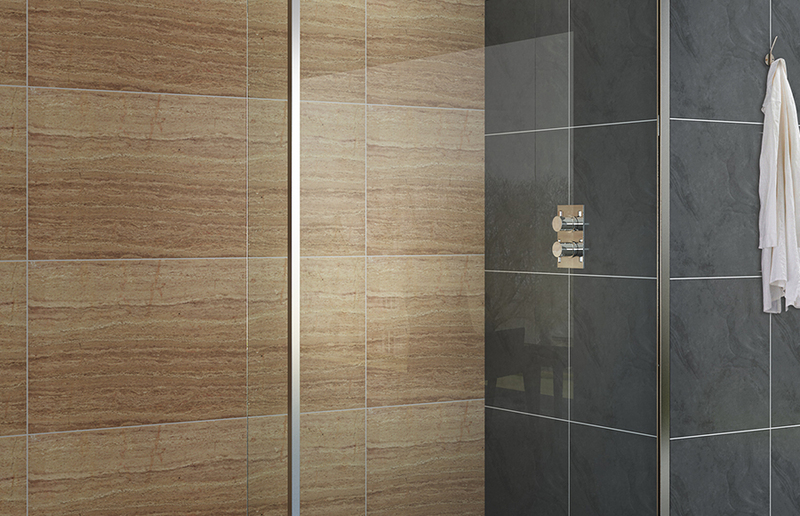 The shower screen does not stain or mould, which makes sure it is low maintenance, providing you with more spare time. Is your bathroom smaller than most? Adding a shower curtain will block out that all important light from entering the rest of the room, making it look smaller and darker. However, with the installation of a shower screen, we can guarantee the light will be distributed across the whole room, making it feel bright and bigger than before. The design of each bathroom reflects the aesthetics of the rest of your home. This is why buying a shower curtain may not be the best option for you. Our glass shower screens are fully customisable depending on the space and type of shower you have. Shower screens can be made in a myriad of styles, from panels to doors, making sure they fit into your home perfectly. We understand the importance of safety for you and your family. We can guarantee the safety of your family won’t be compromised with the addition of our range of glass shower screens. Manufactured to your exact specifications and installed by a team of experts, it is guaranteed to be fitted perfectly, ensuring it won’t come loose. Shower curtains are largely deemed as timely and old. Installing a glass shower screen creates a modern feel, enhancing the light and attractiveness of your home. All our glass shower screens on offer are guaranteed to suit any home, which means we are sure you will find the right one for you. Give your home a boost with our range of glass shower screens. Whether you’re looking for a glass shower screen to suit a bathtub or wet room, we have the perfect option for you. Combining beautiful aesthetics and practicality, each screen is guaranteed to be manufactured to suit your exact needs. Our team of experts draw on years of experience to ensure you are provided with the professionalism and reliability you expect. Each product is designed and manufactured to your exact specifications to perfectly fit your bathroom. 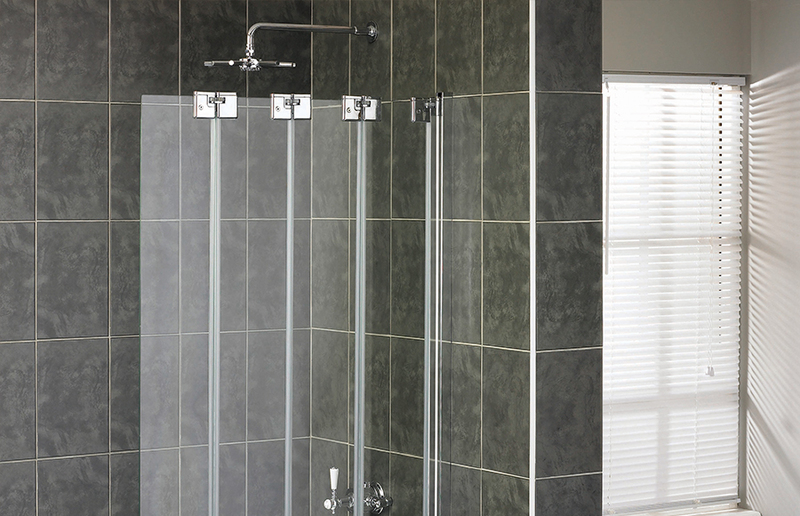 Each glass shower screen is designed to ensure your bathroom is kept away from water leakage and free from mould. They are guaranteed to be easy to clean, and are able to withstand the highest water pressure. This makes them a great option for your home. Featuring a timeless and elegant design, the glass shower screens we offer provide your bathroom with a luxurious feel. Each one can be customised to fit the space you have, which means you can choose from a range of glass options and finishes to maximise your privacy. Our prices reflect the bespoke nature of your home, which means you can be sure you’re getting a price that fits the glass shower screen you are looking for. If you want to find out how much your desired product would be, making sure to factor in all the customisation options available, give us a call. A member of our highly trained team will be happy to assist you, answering any questions you might have. Alternatively, you can use our online form to send us an email and we will get back to you as soon as possible.